Early childhood is when most kids’ language skills really start to “blast off.” Through games and activities that encourage lots of talk and active engagement with books, teachers and parents can help young children learn new language skills and rocket their way to reading. Role play. Kids love taking on new and different roles—and it’s the perfect opportunity to help them expand their language skills. As you engage in everyday activities in the classroom, join them in pretending to be favorite characters from storybooks or TV shows. Encourage children to express the distinct perspectives of their characters; for example, Cookie Monster might want to eat everything in sight, and Goldilocks might forget her manners and need to be reminded. Look at the world through new lenses. Let your young learners see the world through “rose-colored glasses”—literally! Using gels or cellophane in different colors, cover a simple cardboard frame, a magnifying glass, a cardboard tube, or binoculars. Ask the children to look through and describe the new colorful world they see, or tell a creative story about why the world has become pink, blue, or green. Pretend to be animals. Animals easily capture the imaginations of children. Read your young learners books that invite you to pretend to be animals or to imitate their movements. As you try out a turtle’s crawl or a lion’s strut together, get kids talking about what they’re doing and feeling. If your classroom has a computer, you can look up more information on the children’s favorite animals and how they behave and communicate. Eat—and talk about—foods from around the world. Let children handle, smell, and taste diverse foods with different flavors and textures, such as coconut, kiwi, curry, passion fruit, chutney, plantains, ackee, chili, papaya, dulce de leche, and tomatillos. (Be sure to check with parents about food allergies first.) Chat with the children about the colors, tastes, and textures, as well as where the foods come from and how they are harvested or prepared. Make a personal museum. Do your children love collecting things? Many kids find it fun to collect little treasures like rocks, shells, seed pods, toy dinosaurs, buttons, postcards, stamps, or pictures related to a theme. Show children how to arrange their collections in pretty displays using shoe boxes, small jars, or egg cartons. Help children label their treasures (a great way to practice letter writing and recognition) and/or encourage them to give “tours” of their personal museum to visitors. Make maps. Help your young learners create colorful maps of real and imaginary places. Start by exploring an area or talking with them about an imaginary land. What are the important places or landmarks? Where are they in relation to each other? Which roads or paths go from one place to another? Ask children to represent their ideas visually by drawing a map freehand, cutting out pictures and arranging them on a large piece of paper and drawing roads to connect them, or using different colors and shapes to represent landmarks and creating a key that identifies what’s what. Turn junk into treasure. Make a classroom “recycling center” with your learners. Start by collecting things such as bottle tops, small boxes, buttons, foil, cardboard tubes, Styrofoam trays, egg cartons, yogurt containers, parts to broken toys and gadgets, and other beautiful or potentially useful “junk.” As you help the child sort the junk into bins, talk about what things go together. Brainstorm ways to use some of the items to create sculptures, inventions, or play worlds such as a city or a magic garden. Discuss and try different artistic techniques. Read children beautiful picture books illustrated by collagists such as Ezra Jack Keats, Leo Lionni, and Eric Carle or by quilters such as Faith Ringgold. Talk about the techniques the artists used. Then have child make their own books using materials such as watercolors, paste, paper, cloth scraps, ribbon, foil, string, stamps, greeting cards, and box tops. When they’re done, they can “read” their books to you or each other. By Betty S. Bardige, Ed.D. 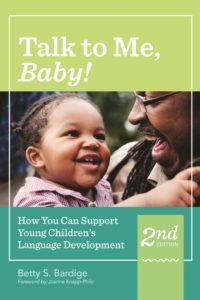 Developed by celebrated early education expert Betty Bardige, this warm and wise book takes you on a fascinating, reader-friendly tour through six stages in a child’s language development—starting with baby babbles and ending with kindergarten literacy skills. 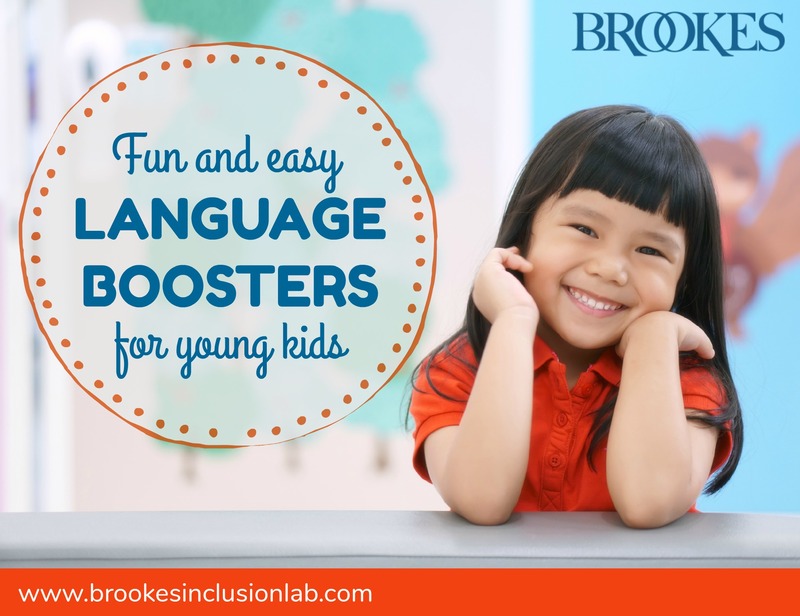 You’ll get proven language-boosting strategies based on up-to-date research, plus an invaluable toolbox of downloadable resources that help you put the strategies into practice (including handouts in English and Spanish).